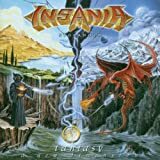 INSANIA LIFE AFTER LIFE LYRICS"
TRAVEL FAR, DIMENSIOS WILL PASS YOU BY. All Insania - Life After Life lyrics are property and © copyright of their respective owners. All Life After Life lyrics provided for educational purposes only.